Many students learn in different ways. Some are visual learners and the others are auditory learners but one thing is for certain all students tend to learn and retain the information better when they are engaged in the lesson. 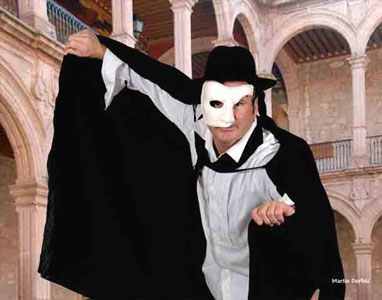 GreenScreenWizard offers a twofold method of involvement. First the student himself or herself is the subject of the output of the program you can get more involved than that. The other way that students can use the program is as a way to express their creative ideas. Let's look at a couple of ways that this can work. The simplest way to make use of the GreenScreenWizard's ability to blend the foreground with the background is to blend the students photo with the background that pertains to lessen that they're trying to learn. Two great examples of this were sent to us by Kim Kane. I have to show you my favorite picture I have taken to date. The fourth grade studied "Famous Americans" and did a report and living museum. I created the pictures for their wall of fame. 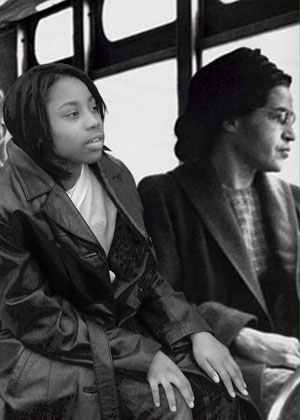 The attached photo is a picture of a student sitting with Rosa Parks. 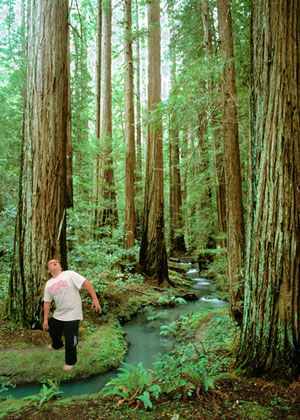 The other is a picture of a student in the Redwood Forest. He studied it and got to "visit" it. :) The list goes on and on. We just love it! Every student loves to be recognized for whatever positive activity they do. 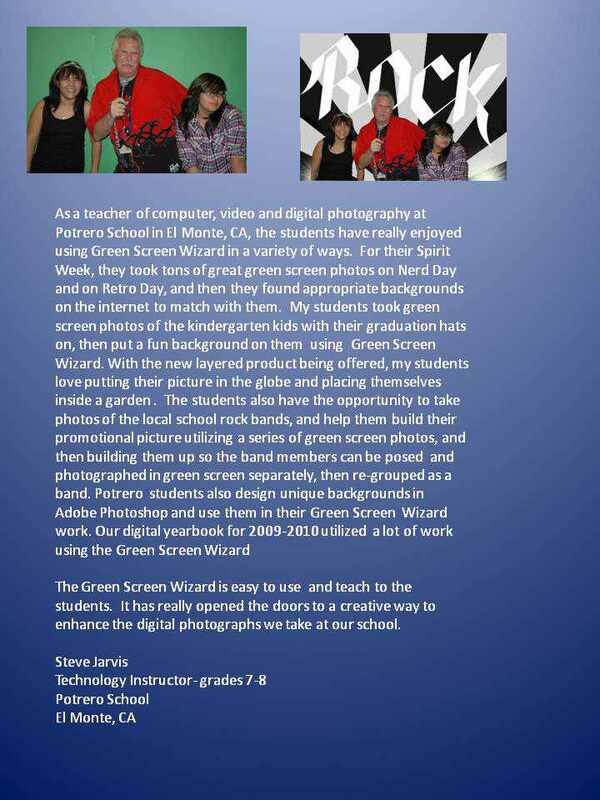 GreenScreenWizard can be used to create announcements, awards, and even magazine covers for your school. Finally this product can be used as part of the visual arts program. Students are taught the theory and practice of doing green screen photography one of the most creative photographic processes available. Here are a few of the kinds of images that they could create using our products. 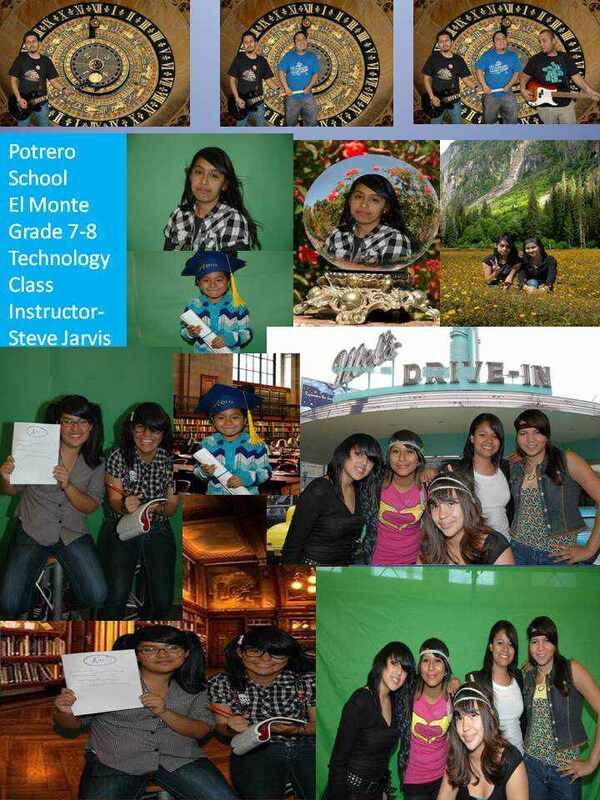 GreenScreenWizard is excited about the opportunities that green screen software presents the students. The company is willing to offer deep discounts to educational facilities that wish to purchase multiple copies of the software. Send some information about your school and what your need is, to support@GreenScreenWizard.com and we will get back to you. Also be aware that many organizations and even individuals may be willing to sponsor green screen software at your school. Below is a testemonial about using GreenScreenWizard at a middle school.